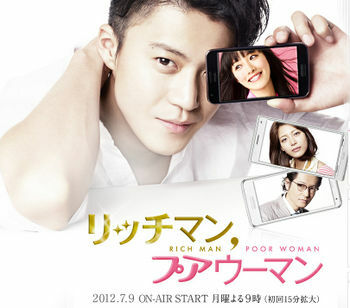 Oguri Shun plays Hyuga Toru, an affluent man whose personality is on the contrary, speckled with flaws. A CEO of an IT firm who is published on Forbes as a billionaire, Toru attained his fortune through chance and pure luck. A woman who meets Toru and eventually becomes attracted to him is Sawaki Chihiro, played by Ishihara Satomi. Chihiro is a hardworking college student at Tokyo University who has prepared for her future as much as she possibly could through studies and obtaining licenses. Despite her efforts, she has yet to land a job. Upon meeting Toru, she begins to unravel a genuine pureness inside him and solitude resulting from such pureness, which eventually draws her closer to him. The two repeatedly conflict each other, but little by little learn about one another to grow and develop together. Despite the worldwide recession and financial difficulties, there are people like Mark Zuckerberg who began work from merely an apartment room or a garage that end up growing to be companies generating over ten billion dollars revenues after merely 10 years or so, embracing their new found wealth by living the dream life. Whether it's a game or application software, Ecommerce, or other IT related firm, there are more than a few who rose in fame to such status in recent years. On the other hand, Japan's unemployment rate for new grads dropped to a record low and those who want to work are unable to, or their wishes to work at their company of choice is not granted.